Devices Like PC, Laptop, Smartphones having huge amount of data stores. We store huge amount of data like images, audio, video files, games etc. All of the data is stored in hard disk or storage location. But all need any external device to transfer data from one location to another. So we also use USB devices to transfer data from one device to another. Similarly SD cards are used in mobile. USB pendrives are typically removable and re-writable, and also physically much smaller than an optical disc. USB flash drives are often used for the same purposes for which floppy, CD, DVD were used. I.e. for storage, data back-up and also transfer of files. Pendrive are also used to perform various function like we can create bootable pendrive for windows and even the device storage memory can be converted into ram memory like by using pendrive as ram. Due to pluging pendrive on multiple devices. There are many chances for our pendrive get infected by some virus as well as malicious program. Even all these also slow down our pendrive. Recently we have discussed about increasing pendrive speed. But when we are not able to access pendrive then formatting is only solution. But some viruses prevent the pendrive or sd card being formatting or Sometimes we remove them during read/write operation also result in file corruption. In that situation we need to format the drive. Their are many different procedure to perform format but if normal format feature is not performing then in this article we are going to discuss about best and possible different methods to format pendrive or SD card. 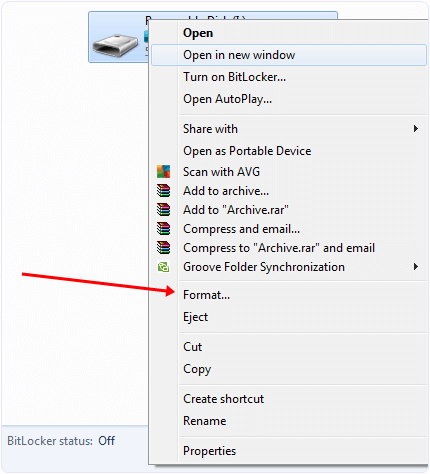 How To Format Pendrive Or SD Card. ? 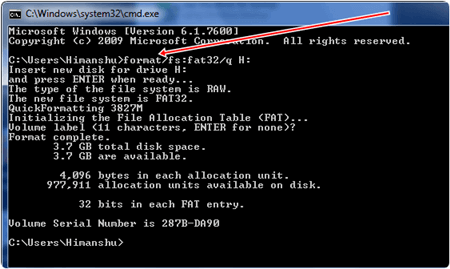 Method 1:- Format Pendrive Using cmd (Command Prompt). Method 2:- Format Using By Default Windows Option. 1. Connect USB pendrive or SD card to your PC. 2. Click on Start > Search> Run > Type cmd and click on OK.
a. format /q /x H: and press Enter. c. The x parameter forces the selected volume to dismount, if needed. Note: Don’t forget to replace the letter “H“ with your drive letter. Open “My Computer” and right click the removable disk drive you have just inserted. Click “Format” on the menu that pops up. 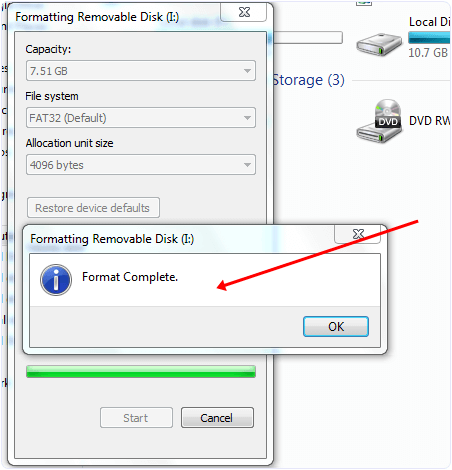 A dialogue box named “Format Removable Disk” should appear. A pop-up will inform you that the format action will erase all the data in the flash memory. Make sure you want to erase all data on the disk before you click OK. The formatting process will start once you click “OK”. USB flash drives rather hold everything from personal and medical information to music and pictures and even secure data, with the added advantage of being small and rugged enough for keychain duty. They also provide option to format a pendrive when window was enable to format the USB drive due to some resource errors. USB Disk Storage Format Tool utility allows you to quickly and thoroughly format virtually any USB flash drive with your choice of FAT, FAT32, exFAT, or NTFS partition types. Quick format as well as safe format. Erase all data and delete space on flash drives that you cannot remove in the traditional way. Hence, these are best possible ways to format pendrive or any USB device like SD card easily.